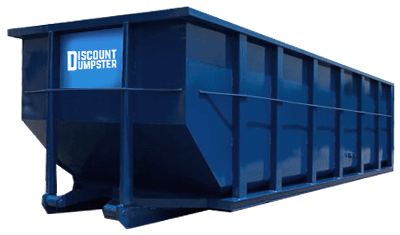 Discount Dumpster offers dumpster rentals in different cities. See if we offer service to your location. Rolloff Dumpster prices are based on different factors such as size, weight, and location. Call us today to get an accurate price quote. How much to rent a dumpster? When can I expect my trash dumpster rental? The sooner you rent a dumpster the better so that we are able to guarantee delivery at or ahead of schedule. Offering next day and some same day deliveries Discount Dumpster puts the customers schedule at the front of mind. When ordering a trash dumpster rental be sure to schedule ahead of time so that a rolloff dumpster is the least of your worries. Our drivers deliver from 6:00 AM to 6:00 PM meaning that some containers will be delivered as late as 6:00PM. The days allowable start the day after delivery. Sizes ranging from 10 cubic yards to 40 cubic yards there is no project which a rolloff dumpster can’t handle. By contacting one of service representatives we will be able to get more information about your planned project so we can suggest the best trash dumpster rental. Save time by planning ahead and there is nothing wrong with ordering a size up for security. Since we have to charge based on each dumpster drop if you run out of room you may need to order an additional dumpster. Dumpster permits are not usually required unless you are placing the rolloff dumpster on a street or sidewalk. When you do need to place the dumpster on the street we will do the work for you by contacting the city to be sure. A street right-of-way permit is issued by each city’s public works or building department and the cost of which will be directly passed on. When placing a trash dumpster rental on a driveway or private property there will be no need for a permit. If you are located within a homeowner’s association be sure to get approval prior to deliver.